This Sunday millions of Americans will be celebrating Father’s Day. It is the Fourth most popular holiday to send a greeting card to someone!They say that there are 70.1 million fathers in United States. The first Father’s Day was celebrated on July 19th, 1910 after it was proclaimed by Woodrow Wilson. It may be surprising to learn that this holiday actually was preceded by Mother’s Day. Mother’s Day originally started as a peace-and-reconciliation campaign after the Civil War bringing together mothers of Confederate and Union soldiers. Mother’s Day is more commercialized than the Father’s Day, however, 110 million greeting cards are being sent around the globe. Yes, other countries like to celebrate it too! Many other countries around the world such as: the United Kingdom, India, Canada, China, France, Greece, Japan and even Hon-Kong celebrate Fathers’ Day is on the third Sunday of June. In Australia, the first Sunday of September is observed as Father's Day, while Finnish people celebrate the festival on the second Sunday of November. 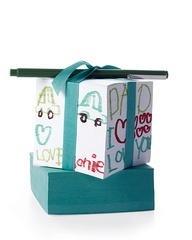 In Thailand, December 5th is observed as Father's Day every year.